We created this website in response to a request we hear over and over again from psychology professors would love to have more video! We launched an extensive search for videos on the internet that could be used both in class and by students at home. The videos range from news clips, to popular television shows, to student projects, and represent many psychological fields of study. 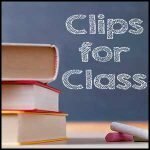 We have compiled lists of disorders to help you make the most of Clips for Class. Just click any of the categories in the list below to reveal a list of associated disorders, the title of relevant video(s), and a link to the section where you can find each video. Click the category again to hide the list of disorders.